Capturing the beauty of a single bloom is the theme for the Garden Photography Challenge for September. In response to the request from Jude to showcase a flower that you are particularly fond of or one that is unusual, here is my photo of a single flower of the Barringtonia racemosa, often referred to as the Powderpuff tree, for obvious reasons. In South Africa, this tree occurs naturally along the edges of coastal swamps, estuaries and rivers on the eastern seaboard of KwaZulu-Natal and north into Mozambique. It is also known as the Freshwater Mangrove and has a surprisingly wide range occurring also in Madagascar, India, Sri Lanka, Malaysia, Thailand, Laos, southern China, northern Australia, the Ryukyu Islands of Japan and a number of Polynesian islands. According to Plantzafrica parts of the tree have been used as fish poison and insecticide, and in KwaZulu-Natal it was traditionally used to treat malaria. The flowers grow on long racemes (hence the name). The flower petals and stamens drop off leaving the fruits, each containing a seed, to develop. These fruits are buoyant and in the wild the seeds are dispersed by the fallen fruits floating away on the currents and tides. These pictures were taken in our garden, but I have seen this tree flowering in its natural environment along the swampy fringes of Lake St Lucia on the Zululand coast, but that was when the estuary system was full and not tragically dry as it is now during a prolonged drought. As they mature, the flowers fall in masses from the tree and float on the water forming a fairy-tale carpet of blossoms. The pungent smell of the flowers and the mud of the swamp combine to make for an extraordinarily fetid smell. On our visit to the western shores of St Lucia, the pervasive sense of tropical mystery in the dense shadow of the trees and mangroves was added to when we came across the half-eaten carcass of an antelope that had evidently been dragged along the path by a large predator, most likely a leopard. We felt like interlopers in an eerily beautiful forest simultaneously manifesting both death and fecundity. Oh this is such a beauty! I have not come across this one before so thank you so much for sharing it. And the very interesting information too. I never made it to the area north of Durban, it sounds magical. Thanks, Jude, for visiting and also for sharing through hosting your series of garden photo challenges. 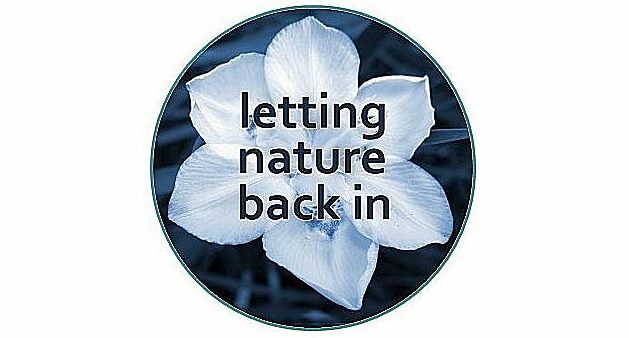 I’m so glad that others have joined in – it is so enjoyable to visit other nature/garden blogs.